A couple of weeks ago, I wrote about Red Balloon Learner Centres. Red Balloon Learner Centres are set up specifically to help children who cannot go to school because they have been badly bullied. There are currently six centres – in Cambridge, Liverpool, Norwich, Preston, Harrow and Warwick. I recently had a conversation with their Chief Executive, Carrie Herbert, from whom I learnt more about the charity, and the service they provide. I have to say I was impressed. 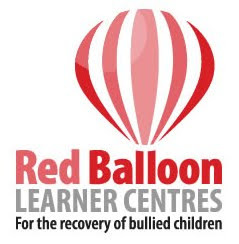 Red Balloon will consider applications from anyone who is having difficulty attending mainstream education; those who are fortunate to live within the catchment area of one of their centres could do worse that taking a look. For those living outside these areas, Red Balloon are seeking more centres, and would be pleased to discuss the possibility of working with others to achieve that.